Iran’s nuclear chief has warned of the threats posed by the Israeli nuclear stockpile and activities, saying the Zionist regime is putting at risk the security of the region and the credibility of the nuclear Non-Proliferation Treaty (NPT). “Iran, as the initiator of establishing Nuclear Weapon Free Zone in the Middle East since 1974, reiterates its deep concern over Israeli clandestine military nuclear program,” Ali Akbar Salehi, the head of the Atomic Energy Organization of Iran (AEOI), said in the 60th Regular Session of the International Atomic Energy Agency (IAEA) General Conference in Vienna on Monday. “The world without nuclear weapons under the full implementation of Article VI of NPT and the realization of nuclear disarmament by 2025 as proposed by the Non-Aligned Movement is an inevitable necessity and certainly one of the best guaranties for nuclear security,” he said. Salehi further underscored the Islamic Republic’s resolve to expand its nuclear program for civilian purposes following the implementation of last year’s agreement, dubbed the Joint Comprehensive Plan of Action (JCPOA), reached between Iran and the P5+1 group of countries – the United States, Britain, France, China and Russia plus Germany. Citing a key report last December by the UN nuclear monitoring body that it has found no indications of the diversion of nuclear material for non-civilian objectives in Iran’s nuclear program, Salehi said “the official and decisive report on the final assessment of Iran’s past and present nuclear issues … closed for ever [the] false and fabricated nuclear file” on the Islamic Republic’s atomic program. The top Iranian nuclear official expressed the country’s readiness to cooperate with interested technologically advanced IAEA member states for advancing peaceful nuclear technology as well as exchanging experiences and know-how with developing countries. Iran and the P5+1 signed the JCPOA in Vienna in July 2015. It went into effect on January 16, and resolved a long-running dispute over the Iranian nuclear program. Under the JCPOA, the Islamic Republic has agreed to roll back certain aspects of its nuclear program – including the volume of its uranium stockpiles enriched to the 20-percent level – and has provided international atomic monitors enhanced access to its nuclear facilities. In return, Iran’s partners agreed to terminate all nuclear-related sanctions against Tehran. Some international banks, however, still shy away from financing trade deals and processing transactions with Iran fearing US penalties. On the sidelines of the IAEA session, the Iranian official also met with IAEA Director General Yukiya Amano and Sergey Kiriyenko, the head of Rosatom, which Russia’s State Atomic Energy Corporation. 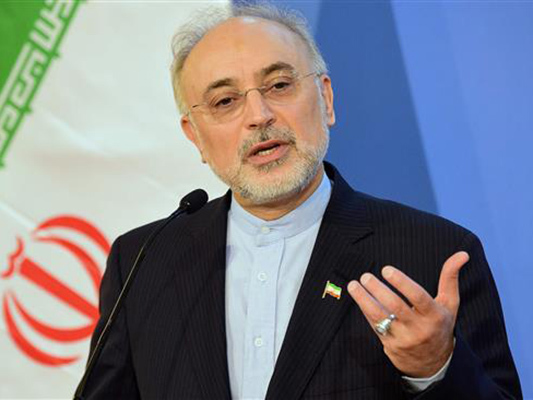 During the meeting with Amano, “we discussed arriving at a final conclusion as regards [Iran’s] nuclear activities and [the agency’s] monitoring activities that are underway either as part of the Safeguards [agreement], the Additional Protocol or the JCPOA,” Salehi said. Speaking about his meeting with the Rosatom chief, the Iranian nuclear chief said the Russo-Iranian ties are of a strategic nature, adding that in the area of nuclear energy it is Russia that has the highest level of cooperation with Iran. The two also held follow-up negotiations on ongoing cooperation between Iran and Russia aimed at completing the construction of the second and third power plant units at the Bushehr Nuclear Power Plant in southern Iran. They also discussed financing and other issues concerning the cooperation in order to review the rigor with which the work is expected to take place. Salehi cited the Russian official as having said that Russia had earlier received the 38 tons of heavy water sent by Iran around eight days before. “It is a great step that we managed to sell 70 tons of heavy water to the US and Russia within eight months of the JCPOA’s implementation. Other European countries are likewise interested in buying the commodity and relevant negotiations are taking place,” he said. Meanwhile, the AEOI head said on Monday that he had met with US Energy Secretary Ernest Moniz in Vienna the previous day to review the two countries’ obligations under the JCPOA. He added that he would likely hold another meeting with the US energy secretary later on Monday to discuss issues of mutual concerns. 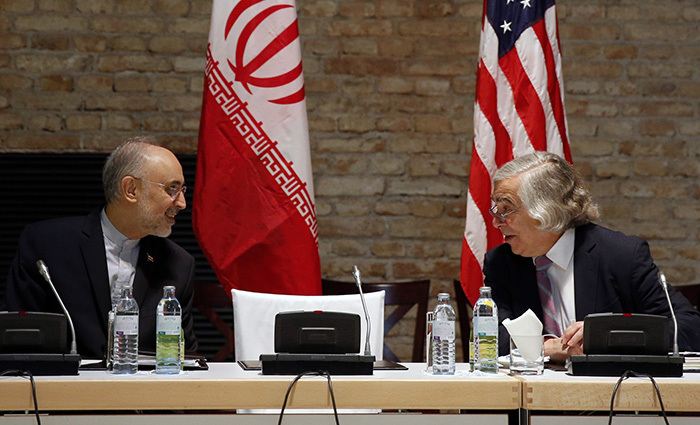 Moniz said on Monday that Washington has kept its side of the JCPOA. “The sanctions that were to be relieved have been relieved. That’s what was the commitment. That has happened,” the US energy secretary told a news conference on the sidelines of the IAEA annual meeting. “The consequences of that in terms of how many companies make foreign direct investments in Iran is not for the government to decide, that’s for companies to decide,” he said. Moniz added that US officials “at their highest levels” have explained in Europe and to banks how to transact with Iran without falling foul of the remaining restrictions.